For many people, proper body posture is a huge issues that leads to sore backs and even potential serious injury. It’s important to fix this issue as early on as possible to avoid long-term pain in the future. Posture braces are often referred to and even sold as “clavicle braces” and they come in a variety of sizes, colors and designs. Poor posture is often developed as result of our daily activity. Repetitive options will often become habits and if you can take a second right now to think about the posture you’re sporting right now sitting in a chair, you might know what I’m talking about. Millions of Americans sit incorrectly for hours a days and it quickly develops into poor posture. The best posture back braces help get you back in order. The type of materials used for these back braces will vary from one product to the other but there are general materials that stay fairly consistent. 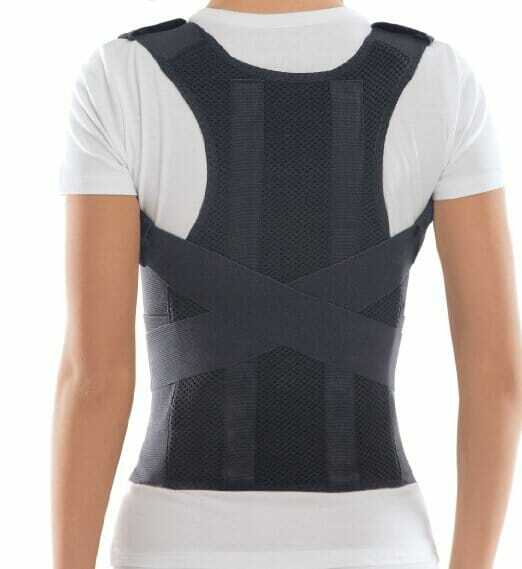 A posture back brace will often be fastened around the shoulders using a loop and hook system. Size wise, you can find pretty much anything to fit a typical American. In some cases, you can look for plus sized back braces as well which are available in both retail and online. There are gender specific products as well. The posture bras for women is a perfect example and better supports a female with their posture taking other ‘assets’ into consideration. Most manufacturers will indicated that their products are unisex although many posture back braces will appear a bit more on the feminine side. In addition to specific braces for woman, posture back braces are also common for children. As mentioned above, most of the issues related to posture are because of bad habits and many of these habits will begin as a child. How are the Best Back Posture Braces Worn? Many of the best posture braces are designed to be worn under clothing. I mean, who wants to wear a posture brace on top of their clothing basically telling the world you have terrible posture. Having the ability to conceal the fact that someone is wearing the brace is obviously a desirable feature and manufacturers tend to lean in this direction. In additional to traditional posture braces, there are a wide variety of new products on the market which make use of current technologies. One example is a product which delivers a vibration whenever the user displays poor posture. I figure an electric shock would work better but I suppose you don’t want be screaming throughout the day. Backtone and iPosture are two such products and are definitely taking some of the posture correction market away from traditional brace users. LUMOback is a product which not only assists in posture correction but also records valuable information for the user including the number of steps you take throughout a day, calories burned, time spent standing/sitting and even sleeping habits. 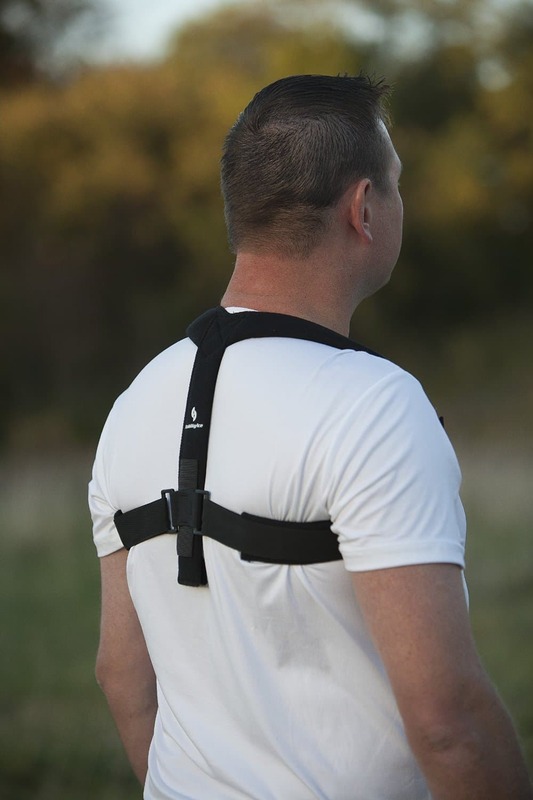 You wear the brace around your back and it connect with a free mobile app that tracks your progress! Comfort: Perhaps the most important factor to consider when selecting a posture brace is comfort. You don’t necessarily need to wear the posture brace throughout the entire day although it depends on the manufacturer’s recommendation. Either way, if the brace is uncomfortable, you’ll find yourself in a position where you won’t want to wear the brace and your posture will only get worse. Obviously not nearly as important as comfort, appearance is an attribute that is related to the above point in comfort. If you don’t feel comfortable with the style, there is a high likelihood you won’t continue to wear the brace. Most back posture braces are designed to be worn under clothes but it’s important to make sure if that’s your preference. You’ve heard the age-old saying. You get what you pay for and this is no different. Quality products will often have a higher price tag but will last longer and offer better performance. When it comes to adjusting your posture, consider spending a few extra dollars now so in the long run you fix the problem permanently. Our experience with posture braces is that the lower the quality, the less comfortable the brace is to wear. This is obviously a major ‘no-no’ as you’ll end up putting the posture brace in the closet and never use it again. Everybody has a different body style and it’s important you buy a posture brace that fits you. Obviously you can always return the brace if it doesn’t fit properly but it’s better to choose a product that is adjustable so that it can be customized to your body to provide maximum back support. Non-adjustable options aren’t idea especially as your body weight changes over time. Let’s face it, we all sweat. Especially when wearing something like a posture brace and it’s important the product is easy to clean or else you’re going to end up throwing it in the garbage. Some of the posture back braces we review are machine washable and dryable while others should only be hand washed and air dried only. Make sure to check the labels before performing any cleaning method to avoid ruining your back brace. Can I use a back brace for posture? I often times see people use standard back braces for posture adjustments and while it might provide support, I always recommend a specific posture brace as they will often times be more suitable. If you’re going to use a back brace, consider using one of our best back braces for posture adjustment. Do I need a prescription from a doctor for a posture brace? The short answer to the question is “No,” although it’s always recommend you consult with your doctor before buying any type of brace. The largest selection of braces is online although you can buy a posture brace from your local drug store as well. In some cases, the purchase of a posture brace might even be covered by your medical insurance. Which is the best posture brace? This is the ultimate question and one that might provide a different answer depending on your need. I’ve worked with a variety of clients that have had different preferences and much of it is personal. I recommend reading the below reviews and identifying which posture brace is best for you. One of the more basic of braces, the StabilityAce Posture Brace is one of our favorites as well. It provides soft, comfortable foam/velvet padding ideal for posture corrections. Clever in design, it’s one of the only posture braces that does not wrap around the midsection – which can be a very big plus depending on what you’re looking for. The armpit padding is comfortable as well which will avoid any bruising from the elastic-style straps. Affordable in price, this is a fantastic option for those looking to make posture corrections. Another really popular brace, it’s a much different style than the option from StabilityAce as the brace wears a bit more like a piece of clothing. The manufacturer recommends this brace to be worn 3-4 hours daily while in the first couple of days only wearing in 15-25 minute sessions. The idea is that you’ll build muscle memory over time, eventually returning posture to normalcy. The comfort Posture Corrector brace is one of the more cost effective ways to prevent slouching or long term back pain associated with poor posture. It’s one of the braces that you can almost wear all day without even noticing it as it wears to well under your clothes as well. Another great option is the BeFit24 posture corrector. This particular brace boasts it’s ability to pull the shoulders back effectively to ensure proper posture without making you feel uncomfortable as you wear it. The way it sits on your body constantly reminds you to retain good posture no matter if your standing or sitting. This particular option takes a little bit getting used to because there is a lot going on. For the females out their, it’s kind of like wearing both a bra and a lumbar support belt in one. It’s reasonably unobtrusive and can be worn underneath your clothes but as mentioned, it does take some getting used to. No matter which of the above braces you choose, you’ll be in pretty good shape. Just ensure that you get the proper size and don’t be afraid to reach out to the manufacturer if you have any issues. All of the above brands have fantastic customer service and should be able to replace any products you have issues with.